Russell Crowe has put his divorce settlement front and center via a Sotheby’s Australia auction. 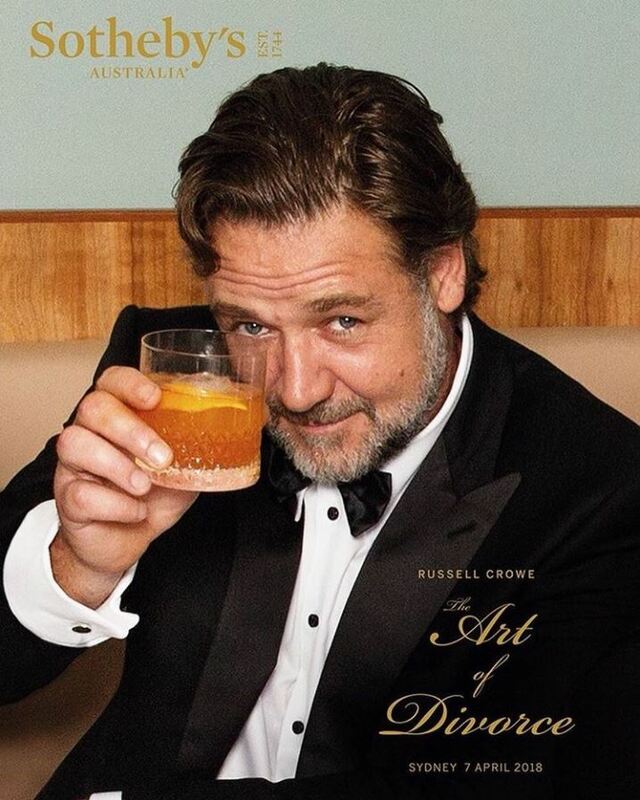 Dubbed “Russell Crowe: The Art of Divorce,” the Hollywood actor and soon-to-be ex-wife, actress Danielle Spencer, will be putting up 227 lots of personal items for sale including art, furniture, movie memorabilia, instruments, and watches. No doubt it will be the movie memorabilia that will garner the most worldwide attention, particularly items such as the armor and sword Russell Crowe used in the Gladiator film. However, as watch enthusiasts, we, of course, browsed the catalog for the watches on offer. He has quite the collection of luxury watches. With 29 watches in total, we spotted some beauties in the Spencer and Crowe divorce auction including a limited edition platinum Vacheron Constantin (estimate: $40,000 – $60,000), an IWC Portugieser made for the Laureus Sport for Good Foundation (estimate: $8,000 – $12,000), a Panerai Luminor GMT PAM063 (estimate: $6,000 – $9,000), and an Omega Speedmaster Professional (estimate: $4,000 – $6,000) given to him by director Ron Howard. There are also three Rolex watches from Russell Crowe for sale. See them for yourself. According to the catalog, Russell Crowe purchased this platinum Cellini ref. 5241 (Lot 217) during the filming of American Gangster in 2007. 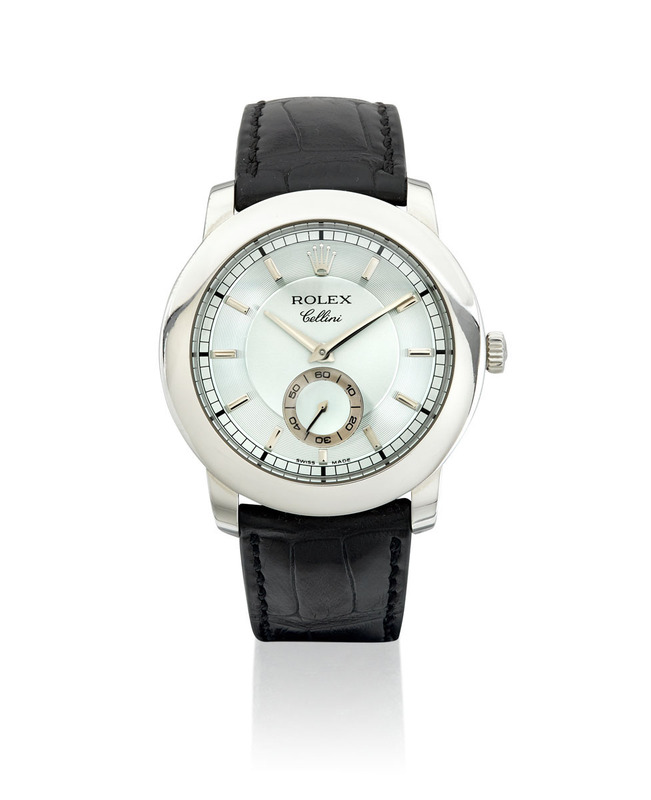 From Rolex’s dress watch lineup, this Cellini watch sports a 38mm platinum case along with a black leather strap. The dial of the time-only Rolex features center hour and minute hands along with a running seconds subdial at 6 o’clock. 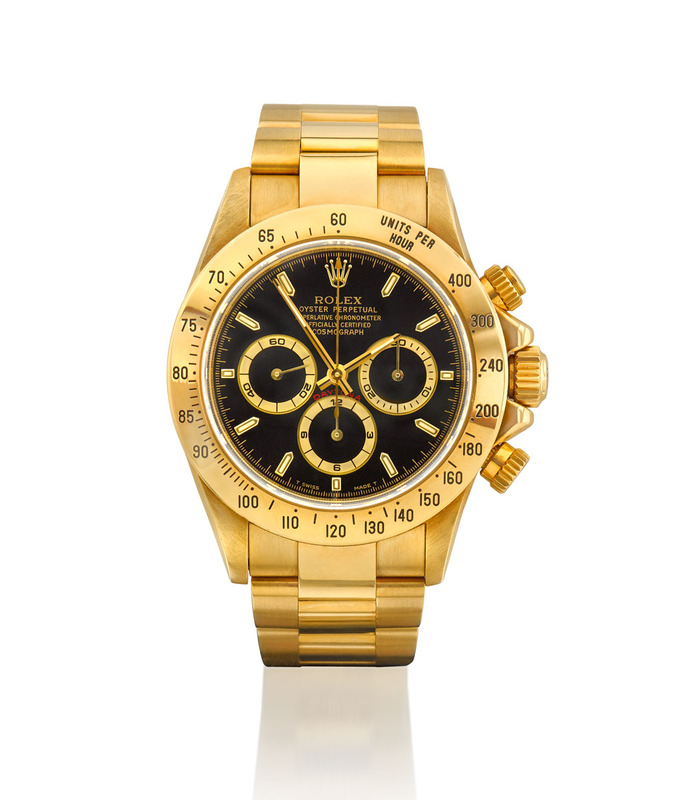 Sotheby’s has placed an estimate of $8,000 – $12,000 on this particular Rolex. 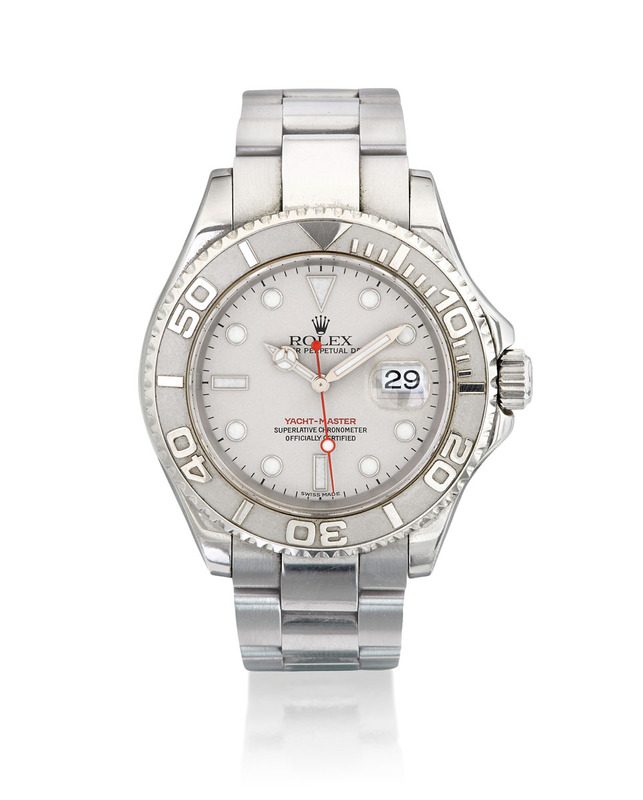 Bought after the shoot of the movie Master & Commander in 2003, Russell Crowe’s Rolex Yacht-Master ref. 16622 (Lot 203) up for grabs includes an engraving of “MASTER & COMMANDER 2003” on the caseback. This stainless steel and platinum Yacht-Master includes a 40mm Oyster case topped with the signature platinum bezel marked to 60 units. The platinum sandblasted dial houses lume plots, Mercedes-style hands, and the date window at 3 o’clock. The estimate for this Rolex is $10,000 – $15,000. This particular Rolex Daytona is an older version of Rolex’s famous chronograph, which runs on the Zenith El Primero-based movement. Crafted almost entirely in 18k yellow gold—from its 40mm Oyster case to its Oyster bracelet—Russell Crowe’s Daytona is estimated to sell for $40,000 – $50,000. The date for Sotheby’s The Art of Divorce auction is set for April 7, 2018—an interesting choice as that’s the date of Russell Crowe’s birthday and the 15th wedding anniversary of the future divorced couple.